At 5:52 a.m. on April 3, 1942, a B-25A Mitchell Bomber (40-2193) left Westover Army Air Field in Chicopee, Massachusetts, headed south towards Narragansett Bay and the Atlantic for an anti-submarine patrol. The belly of the aircraft was loaded with depth charges. The crew of five servicemen aboard included: the pilot, 2nd Lt. George Loris Dover; co-pilot, 2nd Lt. Neil W. Frame; radio operator S/Sgt. Robert H. Trammell; the bombardier, Pvt. Robert H. Meredith; and tail gunner, Pvt. Thomas J. Rush. The men were assigned to the 41st Bombardment Squadron, attached to the 13th Bombardment Group, recently transferred from Orlando Army Air Base in Florida. The weather that day was seasonable for early April with clear skies and five miles visibility. The plane took a course over Rhode Island, but barely twenty minutes into the flight one of engines began to sputter and loose power. Lt. Dover was an experienced pilot and evidently didn’t deem the situation serious as no radio distress call was sent and no attempt was made by the crew to bail out or salvo the depth charges. What happened next is based on the findings of the Army Air Corps crash investigation committee. While still over the southern part of Rhode Island, the pilot turned the plane around and was most likely going to attempt a landing at Hillsgrove Army Air Field in Warwick. 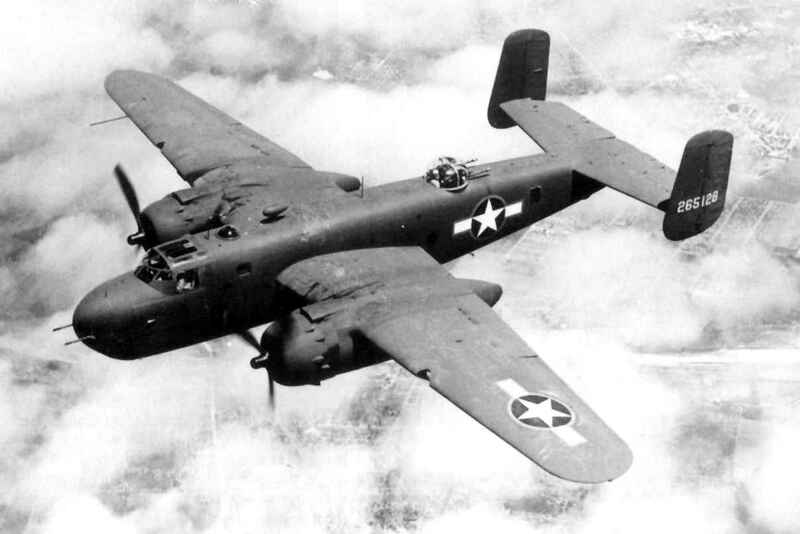 As the B-25 was passing over West Greenwich, Rhode Island, it either stalled or completely lost power, before it crashed into Hopkins Hill. When the plane hit the ground it was assumed that the crew was either killed or rendered unconscious. Fire broke out immediately when the nearly full gas tanks ruptured, which set off the depth charges sending debris from the plane hurtling more than 200 yards. Those living nearby later reported that the blasts shook their homes. 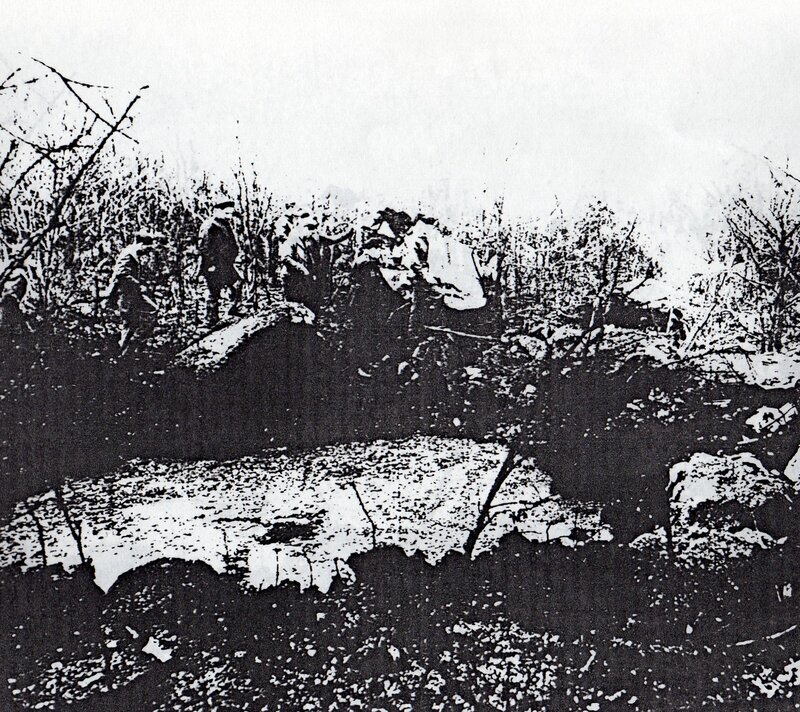 At 6:40 am Trooper Francis D. Egan of the Wickford Barracks received the first report of the plane crash and dispatched Sergeant Harold E. Shippee and Trooper Wilfrid L. Gates to investigate. 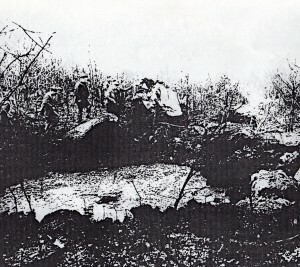 A poor quality reproduction of the army investigation report photo of the blast crater. While searching for the plane. Sergeant Shippee met Earl Harrington who directed him to the general location. 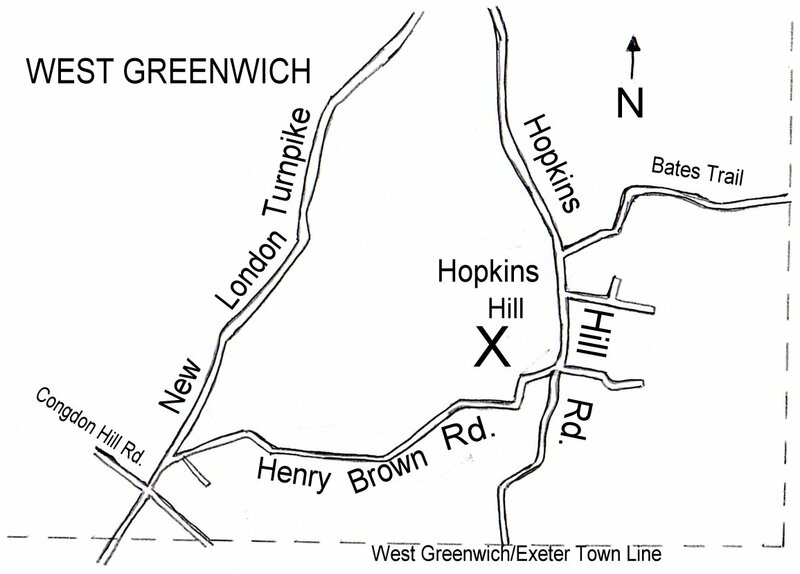 The sergeant parked his cruiser at the intersection of Hopkins Hill Road and Brown Trail Road and proceeded on foot through the woods. (In 1942 the Brown Trail an unpaved dirt trail.) When he reached the scene he discovered that there were no survivors and realized that the aircraft was a military plane by the star insignia on one of the wings. He made his way back to his car and radioed the barracks requesting notification of military and fire officials. Trooper Gates took a post at Hopkins Hill Road and Brown Trail Road to divert sightseers away from the area and keep the road clear for military vehicles. Sergeant Shippee then returned to the crash site and made a wide search of the immediate area. The fires were still burning and some of the aircraft metal was described in the official state police report as being “white hot”. The sergeant noted a wide debris field and a large crater, about 25-30 feet wide, where the plane had landed and exploded. At about 7:00 a.m. Captain Leonard C. Lydon, squadron commander of the 66th Pursuit Squadron, stationed at Quonset Point, was notified of the crash by Naval Operations. He drove to the scene with Squadron Flight Surgeon, Lieutenant Mark E. Conan, and the Squadron D.P. officer, 1st Lieutenant Sherman Hoar, and a detail of eleven men. According to official reports, the contingent arrived at the scene about 9:00 a.m. Sergeant Shippee met with Captain Lydon and turned the scene over to him. The captain was informed that Trooper Eagan in Car 41 would be assigned to stand by in case any radio messages needed to be sent over the cars’ two-way radio. In the meantime, firefighters led by Chief Fire Warden John H. Potter had been busy putting out the numerous fires since 8 a.m. The chief had also detailed a group of men to conduct a search for anyone who may have parachuted out of the plane before it went down. 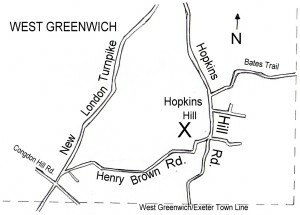 X marks the Approximate location of the crash site. Two bodies and one partial one were found about one hundred yards and two hundred yards respectively from the major portion of the wreckage. Two more were removed from the shattered tail section. All were transported to the Gorton Funeral Home in Coventry, R.I. under the supervision of Lieutenant Conan. At about 9:30 a.m., 2nd Lieutenant Kenneth B. Skoropowski, Armament Officer of the 66th Pursuit Squadron at Quonset, arrived to oversee the removal of all ordinance from the scene. He recovered three .30 caliber, Browning M-2 machine guns, one .50 caliber Browning machine gun from the tail section, two flare pistols, and some live ammunition. Captain John L. Sullivan, Lt. Harcos, and 1st Lt. Charles P. Sheffield arrived on the scene from Westover Field to take over the investigation. They sifted through the debris, took photographs, and interviewed witnesses. 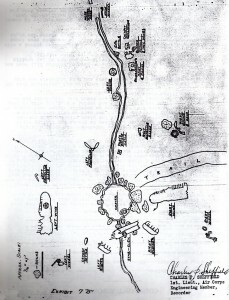 Diagram of the crash site drawn by 1st Lt. Charles P. Sheffield that was included with the official investigation report. 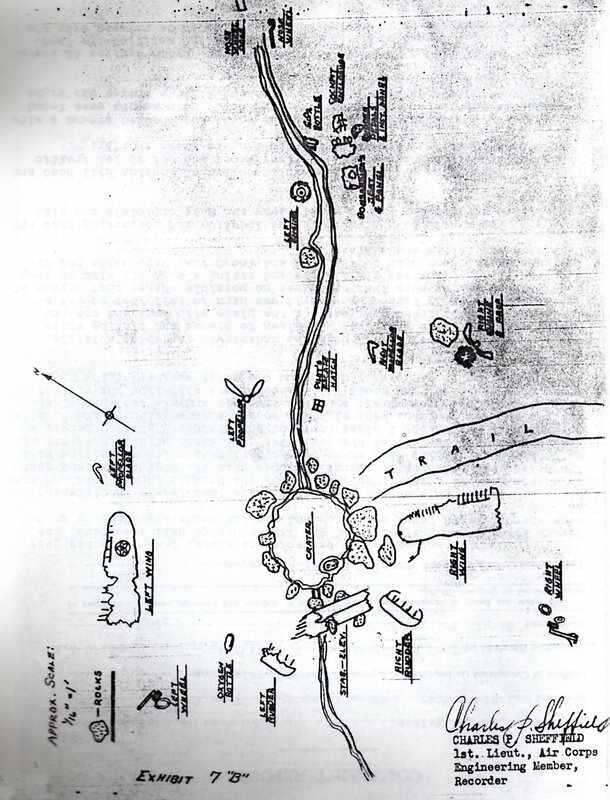 Lieutenant Sheffield drew a diagram of the crash site which he included as “Exhibit 7- B” with the official report. One item of interest to the investigators was the planes ignition switch, which the investigation report stated “The ignition switch installation was burned and damaged so as to preclude drawing of precise conclusions but the master ignition switch is believed to have been in the “off” position.” This could be an indication that the pilot cut the engines just before impact in an attempt to prevent a fire. The investigators concluded that the aircraft was almost level when it hit the ground due to the pattern of debris. Weather and sabotage were ruled out as factors in the crash. The Army, as was the custom, made arrangements for all debris to be removed from the site. Today, time and Mother Nature have erased all traces of the disaster, and except for the blast crater, there is nothing to suggest that a horrific tragedy once occurred there. The official investigation report contains several testimonials to the flying ability and competence of the pilot, Lieutenant Dover, and it is clear that investigators did not fault him for the crash. It’s unknown if this accident report had any direct effect, but it’s interesting to note that future production B-25’s, beginning with the B-25D model, were equipped with different engines – Wright R-2600-13’s. Lieutenant George Dover. Photo from the Shelby Daily Star, April 6, 1942. 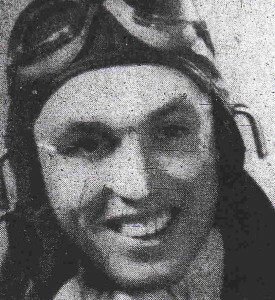 The pilot, 2nd Lieutenant George Loris Dover, known as Loris to his friends and family, came from Shelby, North Carolina. He was born December 23, 1916 and was 25 years old at the time of his death. He graduated Shelby High School and went on to attend Mars Hill College in Mars Hill, North Carolina, where he graduated in 1935. He then went to the University of North Carolina in Chapel Hill, North Carolina, and graduated in 1937. After graduation, he relocated to Kent, Ohio, where he worked for Davey Tree Surgery before enlisting in the Army Air Corps on December 28, 1940. He graduated flight training and was awarded his “wings” August 15, 1941 at Kelly Field in San Antonio, Texas. From there he was assigned to the 41st Bombardment Squadron and sent to Orlando Air Field, in Orlando Florida. In January of 1942 his squadron was transferred to Westover Field in Massachusetts. He was waked at his father’s home at 851 West Warren Street, and flowers completely filled two rooms of the home. More than 3000 townspeople filed through the house to pay their respects. 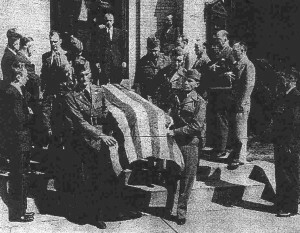 The funeral service was held at First Baptist Church, with members of the Warren Hoyle American Legion Post acting as pallbearers. He was the first serviceman from Shelby, as well as Cleveland County, to lose his life in World War II. Lieutenant Dover was survived by his father and step mother, one sister, Nancy Ellen of Mars Hill, N.C., a half-sister Mary Ann Dover of Shelby, and two brothers, Grady Eugene and Paul. He also left behind a fiancée, Miss Virginia Rose of LaGrange, Illinois. They were to be married in August of 1942. The V.F.W. Post 4066 in Shelby, North Carolina, was named in Lt. Dover’s honor. George was not the only loss suffered by the Dover Family in World War II. At the funeral, George’s younger brother, 21-year-old Grady who was attending the University of North Carolina at the time, was quoted by the Shelby Daily Star as saying, “Somebody’ll have to take Loris’ place.” He entered the Army Air Corps as a pilot and was promoted to 1st Lieutenant. He was killed in action when his B-17 bomber went down on a raid over Germany on February 10, 1944. George and Grady are buried next to their mother, who died in 1928, in the Cora Section of the Sunset Cemetery. Co-pilot, 2ed Lieutenant Neil Ward Frame, was born in Porterville, California, during the First World War, on September 22, 1917, the youngest son of Jesse E. and Madge E. Frame. He grew up with six brothers and sisters, graduated from Porterville High School, and went on to junior college before transferring to the University of California to study agriculture. It was while he was attending college at Davis, California, that he decided to enlist in the Air Corps. He earned his pilot’s wings at Kelly Field in San Antonio, Texas on August 15, 1941, graduating in the same class as Lieutenant Dover. Like Lieutenant Dover, he was the first from his community to lose his life in World War II. His boyhood friends served as pallbearers at his funeral, which the local paper, the Porterville Recorder, stated, “No funeral held in Porterville ever brought such a throng of sympathizers”. An Episcopal service was conducted by Rev. Ralph Cox, assisted by the Rev. H.G. Purchase, at the Loyd-Frietzsche Chapel, before the procession proceeded to the Porterville Cemetery where the local American Legion conducted a funeral ritual and the high school band played “Nearer My God to Thee”, before an eight-man firing squad fired a salute, and two buglers played taps. He was laid to rest in plot B-125-2. The Merchants Committee of the Porterville Chamber of Commerce voted to close all stores in the city during the funeral as a show of respect and patriotic duty. Lieutenant Frame lived at 600 E. Street, Porterville, California, and besides his parents, he was survived by his brothers, Harold and Carl, and four sisters, Mrs. Carl Martin, of Palo Alto, California, Mrs. Kenneth Hill of Visalia, Mrs. Norman Castle and Miss Barbara frame both of Porterville. His brother Carl had enlisted as a doctor in the armed forces and had sailed only a week earlier for overseas duty. Staff Sergeant Robert H. Trammell was born April 23, 1916 and was 20 days shy of his 26th birthday. Before the war he lived at 2309 Ellis Street , Brunswick, Georgia. He was survived by his parents, Mildred B. and Joseph H. Trammell Sr., a sister, Mrs. H. Lee Haskins also of Brunswick, and an older brother, Blair Trammell, who was also in the service stationed at Pensacola Air base in Pensacola, Florida. Private Robert Huel Meredith, the bombardier, was the only married man of the crew. He was survived by his wife of only three months, listed in his obituary as “Mrs. R.H. Meredith”, of Alexandria, Louisiana. He was born May 22, 1920, which also made him the youngest of the crew – about five weeks away from his 22nd birthday. He attended high school in Thyatira, Mississippi, and went on to Harding College in Searcy, Arkansas. He left his studies to join the Army Air Corps in 1941 and went to bombardier school. Being a bombardier during World War II was considered a big responsibility. According to the United states Air Force Museum, the training to become a bombardier lasted 12 to 18 weeks, during which the student learned his skill by dropping approximately 160 bombs. He was scored by his “hits” and “misses”, and roughly 12% of each class was “washed out” for failing to gain enough “hits”. In the beginning of the war, bomber aircraft such as the B-25 carried the Sperry S-1 Bombsight. When the highly classified, top secret, Norden M-1 Bombsight was introduced later, bombardiers were required to take an oath stating they would protect the Norden with their life! In addition to his wife, he left behind his parents, Kathleen Meredith of Thyatira, and T.H. Meredith of Memphis, Tennessee, as well as two sisters and a brother, Miss Marinelle Meredith, Thyatira, Mrs. Leonard Jones, Memphis, and Wilfred Meredith of Independence, Missouri. The tail gunner, Private Thomas J. Rush, was the oldest crewman at 27. He was born August 23, 1915 and enlisted in the Army Air Corps in June of 1941. Before entering the service, he had been a caddy master at the Overbrook Golf Club in Philadelphia and an amateur boxer. He had lived at 1688 N. 56th Street, Philadelphia, Pennsylvania, and was survived by his parents, Joseph and Catherine Rush, as well as three sisters, Mrs. Benjamin B. Evans, Mrs. John F. McFadden, and Miss Sue Rush, and three brothers, James, Joseph, and Patrick. The funeral was held at St. Gregory’s Church and burial took place at Holy Cross Cemetery. The B-25 Mitchell was a twin-engine medium bomber built by North American Aviation of Inglewood, California, and Kansas City, Missouri. Of the roughly 10,000 that were produced between 1939 and 1945, only 40 were designated B-25A’s, thereby making this particular aircraft rare. The “A” variant was an early production model powered by two Wright R-2600-9 engines capable of delivering a maximum of 1,700 hp each. It was designed to carry up to 3,660 pounds of bombs and could defend itself against enemy fighters with up to four .30-caliber, and one .50-caliber machine guns. Obituary, “Thomas J. Rush Rites”, Unknown newspaper & date, sent by The Free Library of Philadelphia, to Greenville Library in June 2006. Special thanks to Mr. Aaron Coutu, former Young Adult & Reference Librarian, Greenville Public Library, Greenville, R.I., for obtaining obituaries and news articles for this story.